A classic traditional English style knife box was used to hold knives on a dining room sideboard. 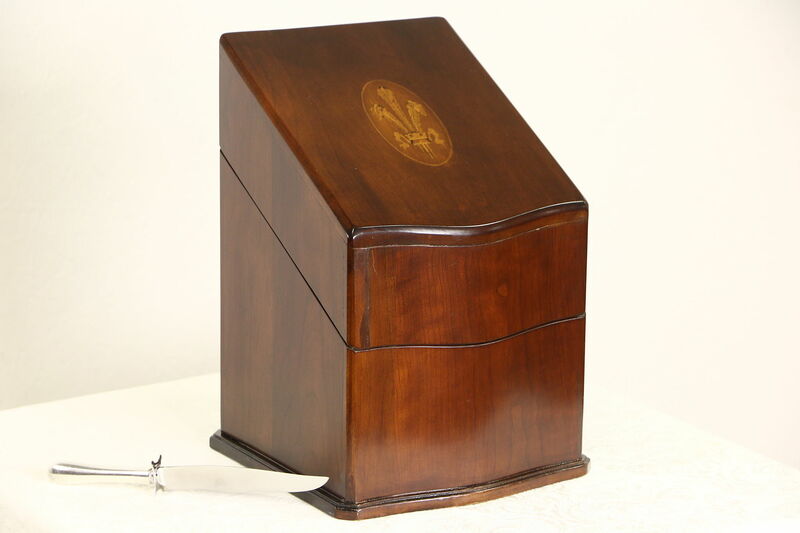 Carved of solid cherry, there is an intricate inlaid marquetry medallion on the lid. About 60 years old, the finish is in very fine condition with a few mars at the edges on this American made vintage miniature furniture. The interior is lined with soft felt, size is 10" wide, 9" deep and 14 1/2" tall.